Just as one acclaimed foreign director announced his English-language debut, we have an exciting announcement about another. Blasting out of Cannes (our full review here), Gerardo Naranjo‘s Miss Bala was a highly praised thriller that is finally landing stateside in extremely limited release, unfortunately. Deadline reports many more of us will be able to see the director’s work soon, as 20th Century Fox and producer Peter Chernin (recently giving us Rise of the Planet of the Apes), have brought on the director to adapt J. 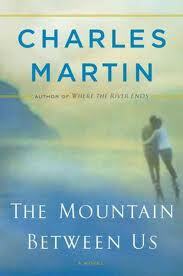 Mills Goodloe‘s The Mountain Between Us. Check out a synopsis below. Ashley is a writer catching a flight from Salt Lake City and heading East for her wedding. Ben is a doctor returning from a medical conference. When a their flight is cancelled due to a broken de-icer, the strangers agree to charter a ride, only to see the pilot suffer a heart attack and crash into a desolate snowy mountain region. He breaks ribs and she suffers a leg fracture. Fortunately, aside from a doctor he’s an avid climber, and as he struggles to get her down from the mountain in harsh weather, she begins to realize that maybe she was headed to marry the wrong guy. It sounds like it could pack the same intensity as Miss Bala and a fitting English-language debut for Naranjo. As it is still early in the development stage, don’t expect us to see this one for awhile. If you currently live in a major city, be sure to seek out Bala to get a taste of what is to come as it is currently playing in NYC, LA, Pasadena, San Francisco, Philadelphia, Houston and Boston. In the meantime, see the trailer below.